The chief policy officer of Lyft (LYFT) got a touchy question during his talk at the Washington Auto Show Thursday, when asked how his company differentiates itself from Uber. Anthony Foxx, formerly President Barack Obama’s secretary of transportation, paused for a moment to recall some family wisdom: “My mom used to say, if you can't say something nice, don't say it.” Then he said he’d speak about Lyft alone and shifted his answer back into gear. 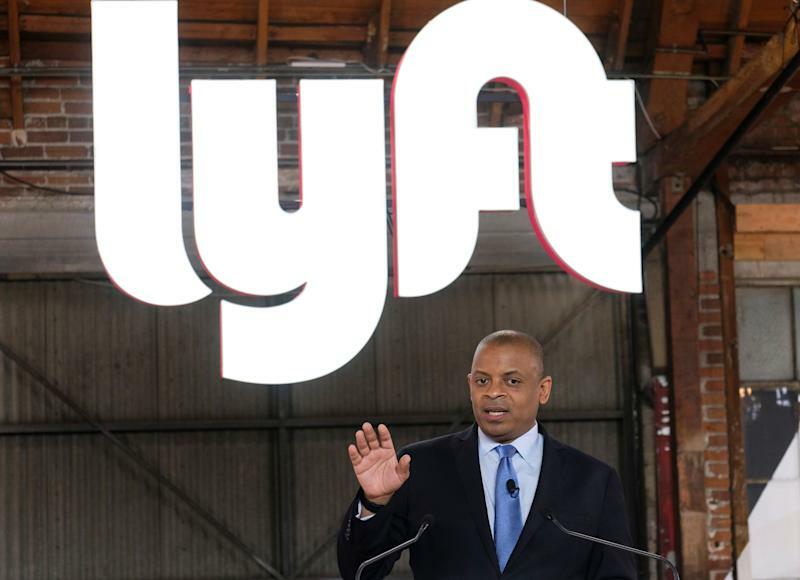 “We’re a company of values,” Foxx said, later adding, “We're also really nice people.” The executive made it clear that he wasn’t directly slamming Lyft’s larger, also unprofitable ride-hailing rival. But he still raised some notable contrasts between Lyft and Uber, which is now on the road to its own initial public offering. In a recent consumer survey comparing Uber and Lyft, Uber was seen as the meaner company. Uber is also now quasi-infamous for a series of privacy scandals and abusive and sexist behavior in-house, followed by one of its test self-driving cars killing a pedestrian in Arizona last March. Its new CEO Dara Khosrowshahi has a tough job. Lyft’s Foxx, meanwhile, said the company is focusing on larger issues. For example, Lyft now has a substantial investment in battery-powered scooters and bicycle-sharing services. In September, it began renting e-scooters and now offers them in 11 U.S. metro areas. In November, it completed its acquisition of Motivate, the operator of New York’s Citibike and Washington’s Capital Bikeshare, among others. Since last September, Lyft’s app began showing nearby transit options in some U.S. cities—inviting users to skip paying for a Lyft ride in favor of taking the bus or a subway. The app is not yet smart enough to suggest taking the train most of the way and then using Lyft to cover the last mile. But Apple (AAPL) and Google’s (GOOG, GOOGL) mapping apps can’t handle that either. Uber, by contrast, added scooters in October and bought the much smaller bike-sharing firm, Jump, last April. Uber’s app also lets you rent Lime scooters. Looking further down the road, Foxx said Lyft wants to work with cities to help change the basic designs of streets and sidewalks to reflect a shrinking role for single-car drivers and return some of that pavement to pedestrians. “You're going to see us getting more involved,” he said, citing the company’s push into public policy as another difference between Lyft and Uber. That won’t happen, however, without an increase in shared rides and, eventually, a large-scale switch to fleets of self-driving cars that won’t need parking spaces between trips. Foxx said 40% of Lyft’s rides are already shared, and the company aims to push that to 50% by 2020. You can expect to see Lyft’s app push that option more prominently. Lyft investors already expect the company to push for fully automated driving to eliminate the expense of paying human drivers, but Foxx said the company expected to see people behind the wheel “for quite some time."